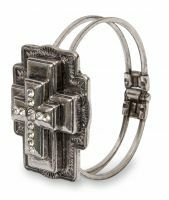 2" Triple layer cross bracelet with crystal rhinestones. 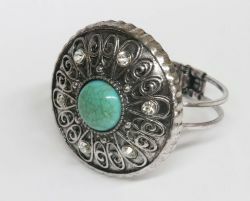 Large antique style pendant bracelet with turquoise stone and crystal rhinestones. 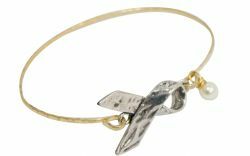 Thin gold bangle with silver ribbon. 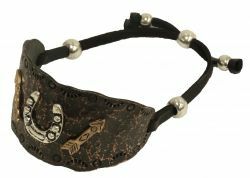 Silver OX bracelet with gold horse engraved plate and drawstring. 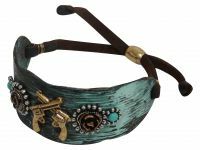 Antique turquoise bracelet with gold crossed guns overlay. 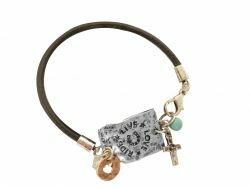 Wide antique bronze bracelet with horse shoe and arrow accents.
" 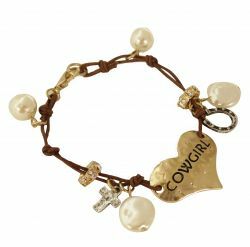 Cowgirl" gold heart bracelet with pearl charms.
" 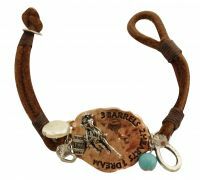 Live, Love, Ride" bracelet.
" 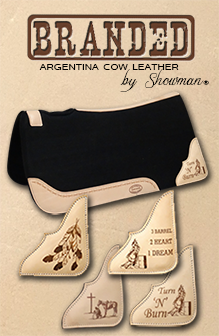 3 Barrels, 2 Hearts, 1 Dream" copper pendant bracelet. 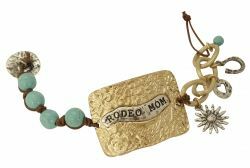 Gold engraved " Rodeo Mom" bracelet. 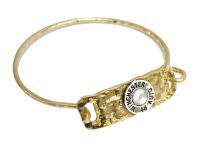 Gold wire bangle with gold plate and " Winchester" button. 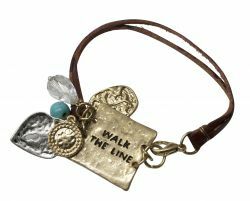 Double strand leather "Walk The Line" bracelet.